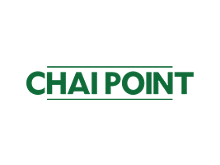 Save with the latest Chai point coupon code for India - Verified Now! Includes Mango shake, chocolate shake, strawberry shake etc. Love your chai, but looking for something cold? Enjoy the Iced Chai from Chai Point at Rs.85 only. Hurry, visit now! Missing your home-cooked breakfast? Enjoy delicious Chai, Upma and more from Rs.65 only. Don't miss out! Looking for some delicious tea time snack? Enjoy a delicious variety of Samosas, Vada Pav, Bhaji's and more! Don't miss out! Order now at Chai Point for such low prices and enjoy chai in this pleasant weather. Save Rs.30 as Paytm Cashback all orders! The only condition to avail the offer is that minimum bill amount should be Rs.150.